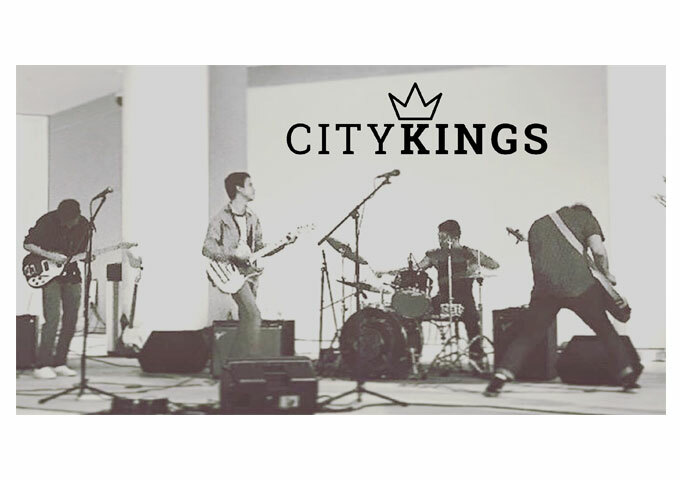 City Kings is an alternative rock band from Chino, California. Though mainly known for playing heavier hard rock sounding tunes, the band has a very versatile array of musical knowledge. 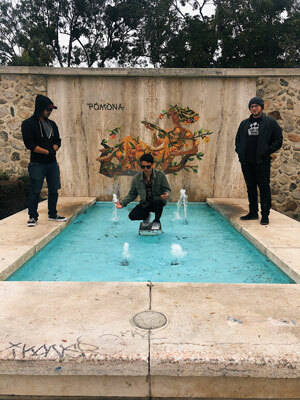 They perform acoustic and softer renditions of their songs on streets of the Inland Empire, or original versions of songs on stages in local venues. 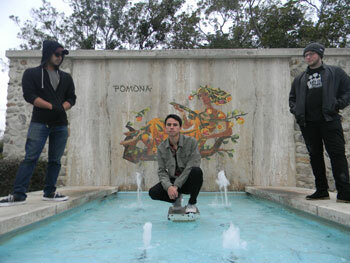 The three-piece collective is made up of Chris, Adrian and Ruben. How and when did the City Kings project start and who are the collaborators involved? Christian Blankenship (City Kings): City Kings was basically started on Craigslist! I met our singer and guitarist Adrian after I found an ad looking for a bassist, and shortly after I met our drummer Ruben. Since then I joined the band and sort of took on the role of band manager/bassist. Christian Blankenship (City Kings): We have sort of a 90’s Alternative Rock sound, but we always try to add variety and change up the sound. Christian Blankenship (City Kings): Arctic Monkeys is a huge inspiration for Adrian and myself, especially with their incredible new album Tranquility Base Hotel & Casino. Radiohead and everything they do drives us as well. Ruben has a slightly different pallet when it comes to music, but Incubus is his biggest influence. Christian Blankenship (City Kings): The first piece of musical equipment I bought was a First Act acoustic guitar that I’d use to strum along with Green Day during my early teen years. One day I certainly want to be the proud owner of a Rickenbacker bass guitar, but I can certainly wait to drop $3K on an instrument. Christian Blankenship (City Kings): Most of our recordings and production occur in Adrian’s bedroom, which has been modified into a recording studio. we run all of our tracks through our audio interface and program drums through MIDI and an electric drum set. We always hire someone to master our tracks for us such as Wiseaudiolab, solely because we don’t trust ourselves with our own mastering. Studio work and music creation, or performing and interacting with a live audience, which do you do, or prefer doing? Christian Blankenship (City Kings): Ooh this depends on the band and what we’re doing at the time. If we’re focusing on recording then we prefer playing shows. If we’re playing shows we’re wishing we’re recording haha. It’s always the opposite. Which one of your original songs currently gets you excited the most? And does it have back story? Christian Blankenship (City Kings): Currently the most exciting song to me is probably our song “Crash.” The rapid drums of the intro, the guitar solo in the chorus, and the drum solo at the end during live performances always gets me hyped up. Christian Blankenship (City Kings): Nope, we never perform songs perfectly live. We practice as much as we can prior to our performances, but we can never do a “perfect” performance. We’re very critical and we just do our best. Christian Blankenship (City Kings): Usually we gather together as a band and Adrian will start playing a chord progression on guitar. I’ll find a baseline that compliments it and Ruben will find a beat. Eventually Adrian finds a vocal melody and more often than not, we then take that jam and add some song structure. Then it turns into a City Kings song! Christian Blankenship (City Kings): At first, The hardest part was finding our sound. We couldn’t nail how we wanted our live performance to sound especially because we were a three piece band. Adding additional members helped a lot, but since we can’t keep our additional members, it’s not uncommon to only see us live with just the three of us. However, now we have our sound more established. Christian Blankenship (City Kings): We don’t have any special tools. All of our sound is made through an Ibanez bass, Fender Telecaster guitar, drums and Fender amps as of now. How essential do you think video is in relation to your music? Do you have a video you could suggest fans see, to get a better understanding of your craft? Christian Blankenship (City Kings): I think that video is extremely important. Whether it’s a music video, a live performance recording, or even a backdrop during a live performance, a visual aid is an incredible addition to any live performance. We’re working on getting more videos out, however we do have a video we shot a few months ago with our friend The Last Magna in Apple Valley of our song “Gumball Machine” but played acoustic. What’s your view on the role and function of music as political and/or social vehicles – and do you try and afront any of these themes in your work, or are you purely interested in music as an expression of artistry and entertainment? Christian Blankenship (City Kings): I respect the idea of incorporating politics into music, however we decided we weren’t going to use that approach to our craft. We prefer to stay away from controversial ideas though we mildly express our social opinions in some of our lyrics. With more and more musicians creating and releasing music on their own, what are your feelings on how the music business works right now with all the digital platforms and streaming services? Are you happy about them or would you change anything? Christian Blankenship (City Kings): I think It’s incredible watching musicians we’ve met blow up! 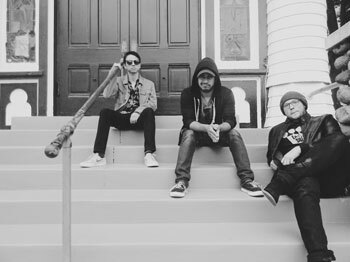 The Licks and Alejandro Aranda are two just to name a couple. I think that the help of social media and streaming services is really cool, but I don’t think society should be as dependent on it as we are. What would you consider a successful, proud or high point in City Kings’s endeavors so far? Christian Blankenship (City Kings): I think our best and most successful moment was either the release of our first EP or performing at The Glass House. Performing at The Glass House was a dream of the band since we all met. We talked about it since day one. And achieving that dream in less than a year of being a band was truly magical. Do you consider Internet and all the social media websites as fundamental in building a career in music today, and what is your personal relationship with all the new technology at hand? Christian Blankenship (City Kings): I do think it’s all a fundamental. I hate that it is, but it certainly is. The use of social media in my opinion is far surpassed where it should have ever been, but now that the world runs on it, we have to use it in order to build a solid foundation and fanbase of the band. Christian Blankenship (City Kings): Dave Grohl once said that the most important thing any artist can do is get out there and play shows. We took a long break from performing when we were recording our first release and at that point we kind of died of for some time. Luckily we got back out there but that was a low point for us for sure. Reaching audiences usually involves exploiting media opportunities, and possibly working with a PR company. How do you handle your marketing? Do you have a team or do you do it all by yourselves? Christian Blankenship (City Kings): I do all of the marketing. I reach out to local venues and I get the band’s name out through sponsorships and other local artists that support us. But yes, we handle it all ourselves rather than having help, but we’re not opposed to the idea. Tell us something about your latest music release and where fans can find it? Christian Blankenship (City Kings): Our latest release is a new single called “Lily” and it also includes our other original song “Follow Close”. “Lily” was written for Ruben’s mother Lillian who passed at the end of last year. She is a very special person to us because she was always so sweet and supportive of all of us. We miss her very much. “Follow Close” was written for my grandfather Fred who is fighting Stage 4 cancer. He’s been putting up the fight and staying positive for over a year. He is the most important person in my life and I love him with all my heart so I had to write the lyrics for that song for him. You can hear both songs very soon on all streaming websites. Do you have a specific musical vision in you mind for City Kings to reach or achieve before you’re satisfied? Christian Blankenship (City Kings): My personal musical vision is just having people enjoy our work. All I want is to have a supportive fanbase and we are just starting to get that! We love and thank our fans for all of the support they have shown us over the years and we hope to keep the same support that they’ve shown us. We as a band want to start playing some larger scale shows and release more and more music. That will all certainly come in time!